Well kept 1.5 story 3 bedroom plus landing room home. 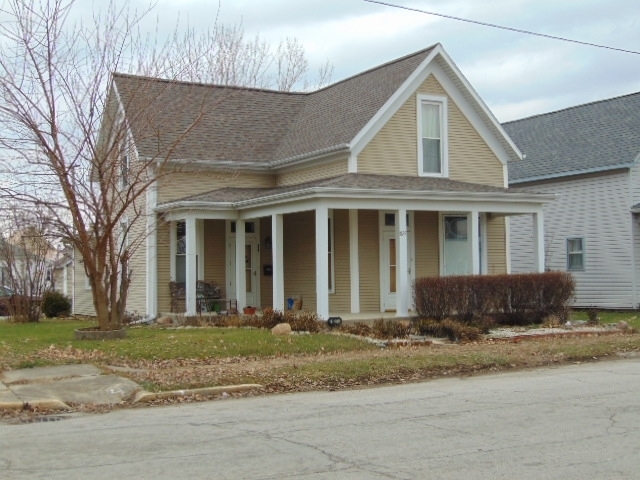 Home was updated in 2005 including roof shingles, vinyl siding, replacement windows, furnace, kitchen cabinets and wrap around porch. Directions:In Bluffton, West of Main St. on Washington St. to 827, north side of street. Listing provided courtesy of Shaw Real Estate & Auction.